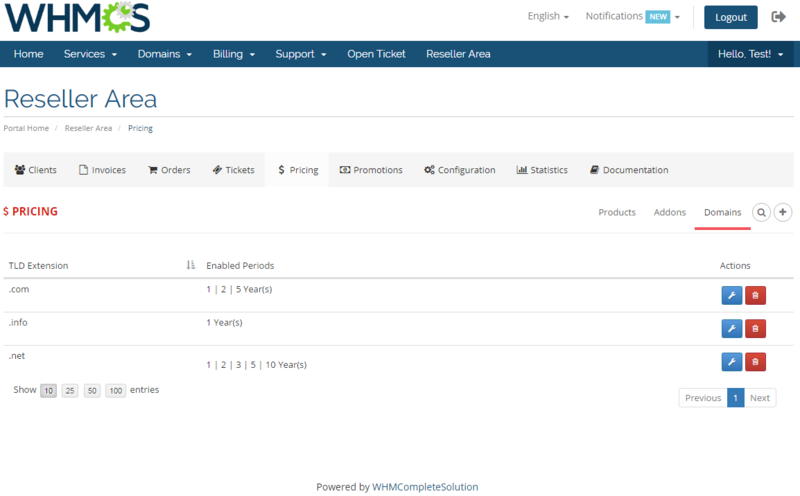 Upon purchase you receive a yearly access to updated versions of the module and technical support services. 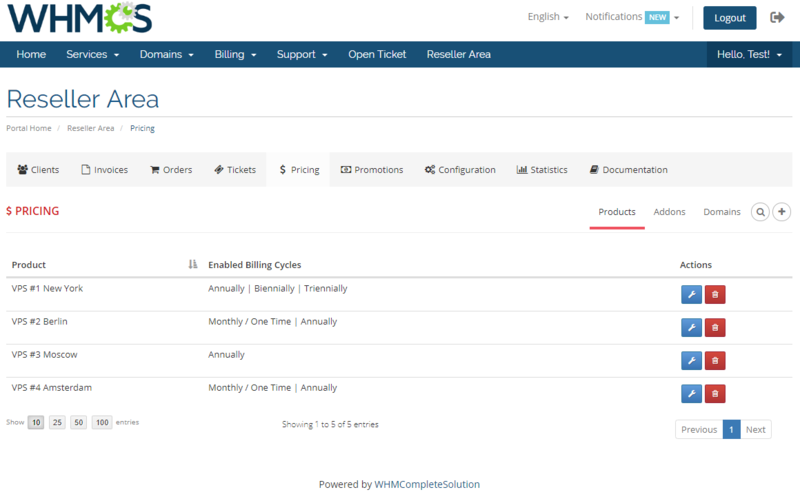 Each additional year of the access costs $99.95. 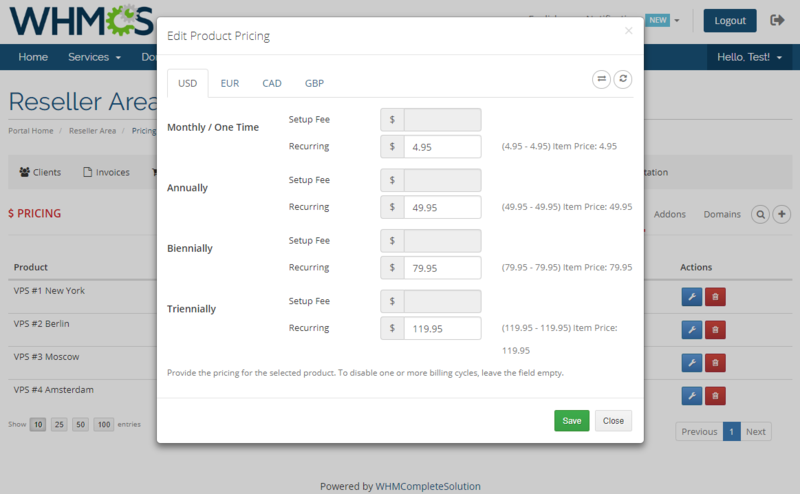 This fee is not mandatory and entirely voluntary. 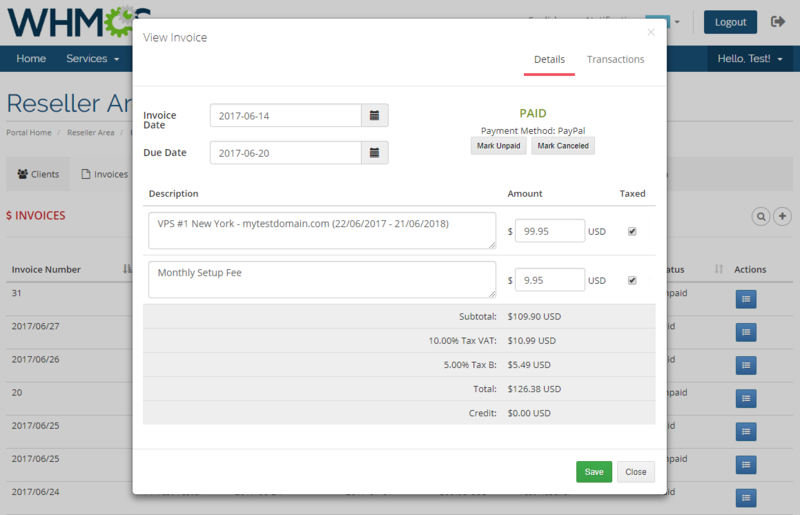 The payment can be made at any time, which will automatically extend the access for the next 365 days. 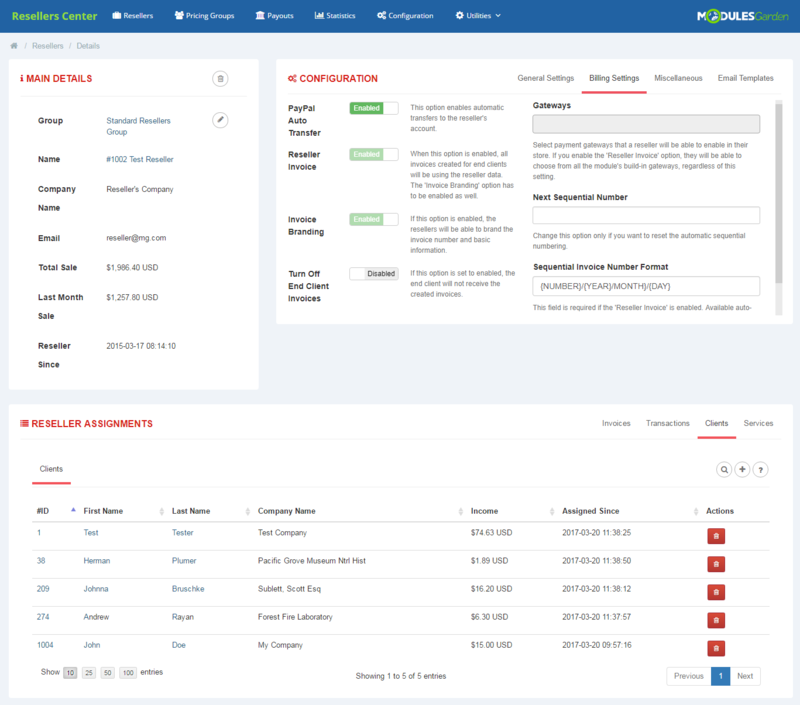 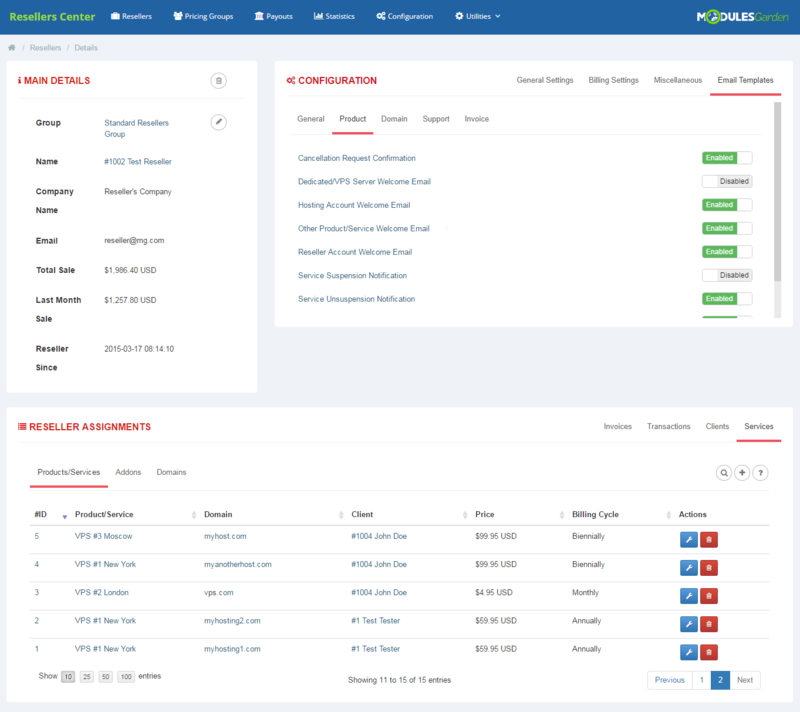 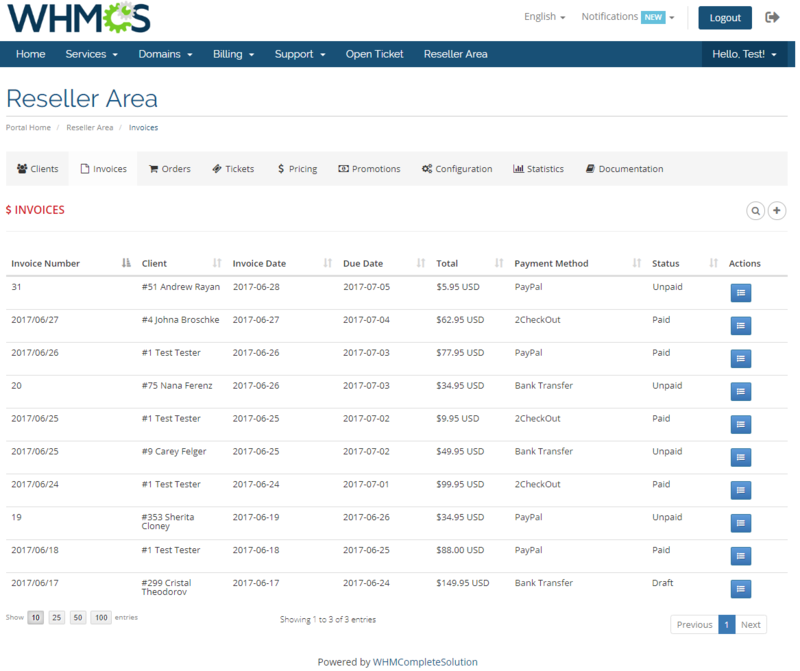 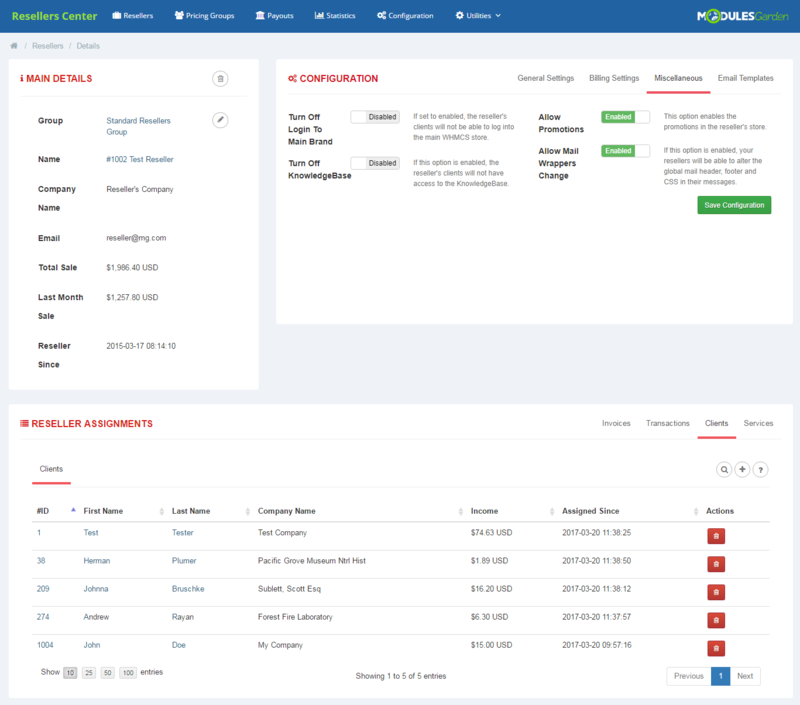 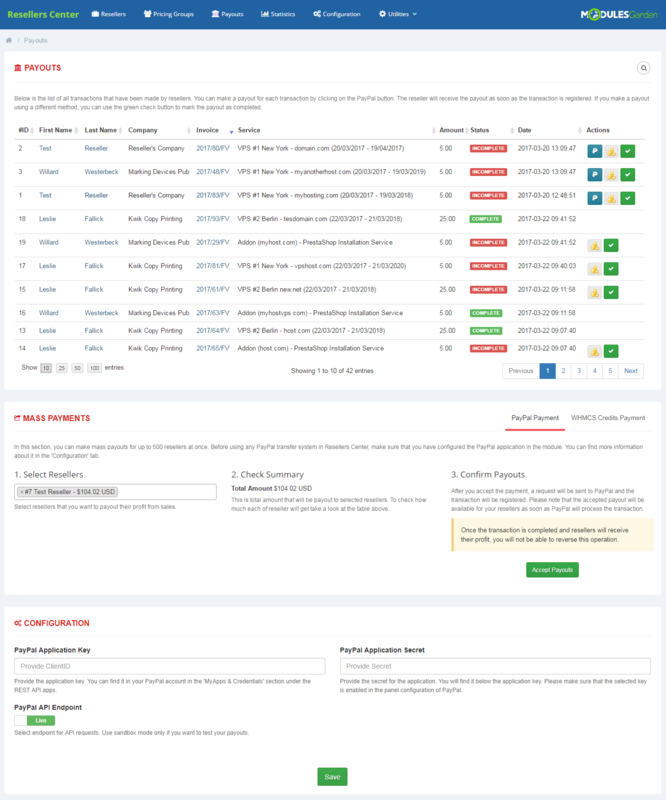 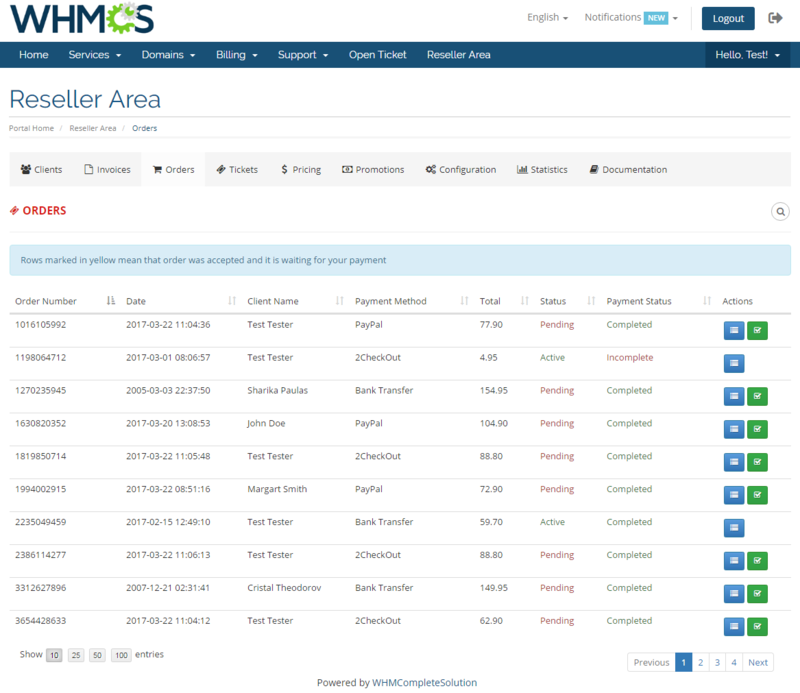 Resellers Center For WHMCS will empower your resellers to handle acquired customers and generated sales in your system, while also helping you keep all their ventures under essential supervision. 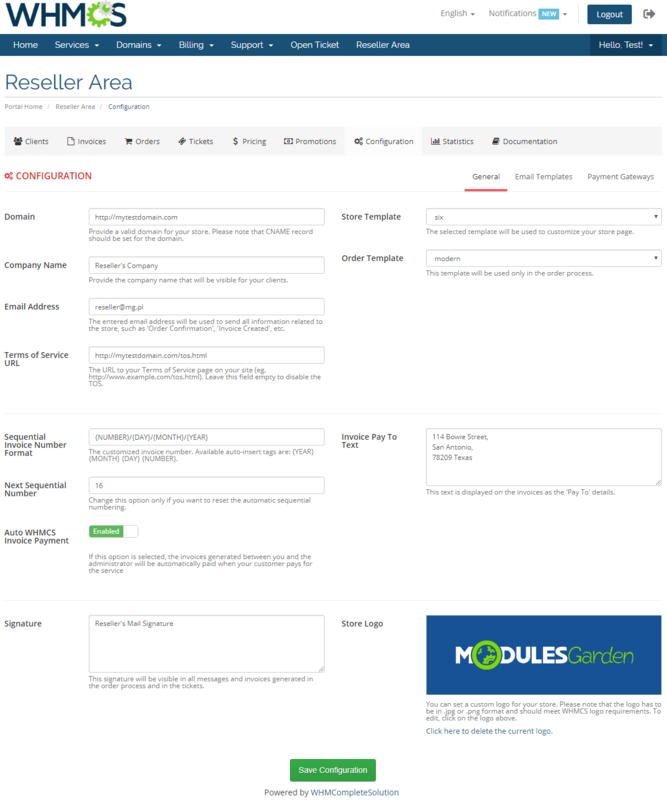 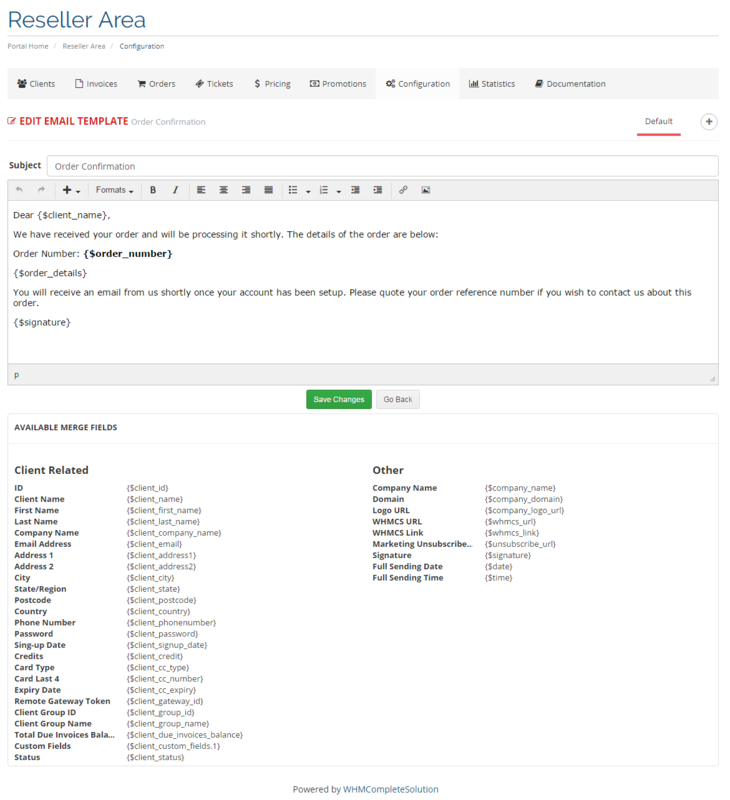 It is through your resellers that end clients will be able to obtain products, addons and domains directly from you! 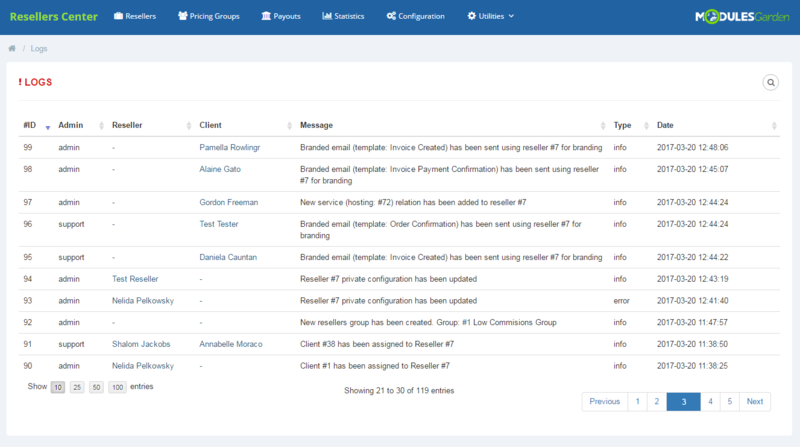 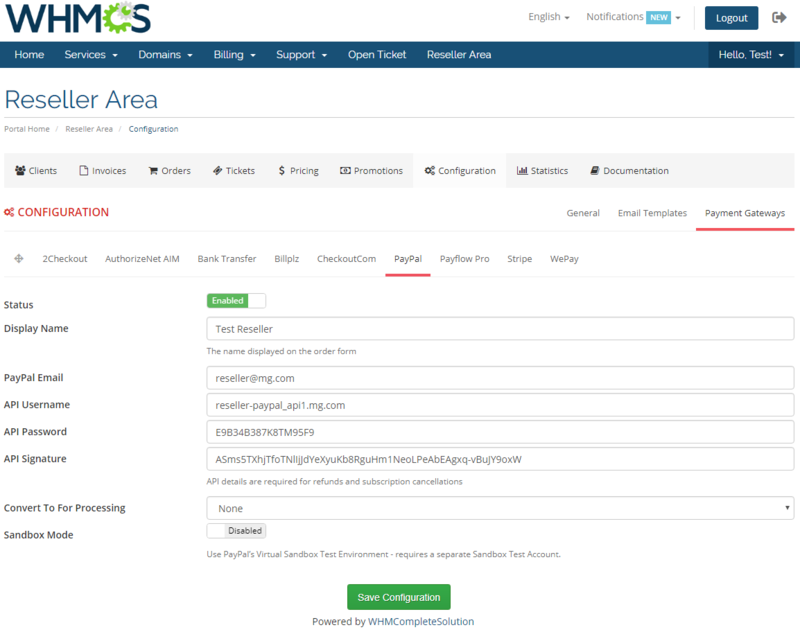 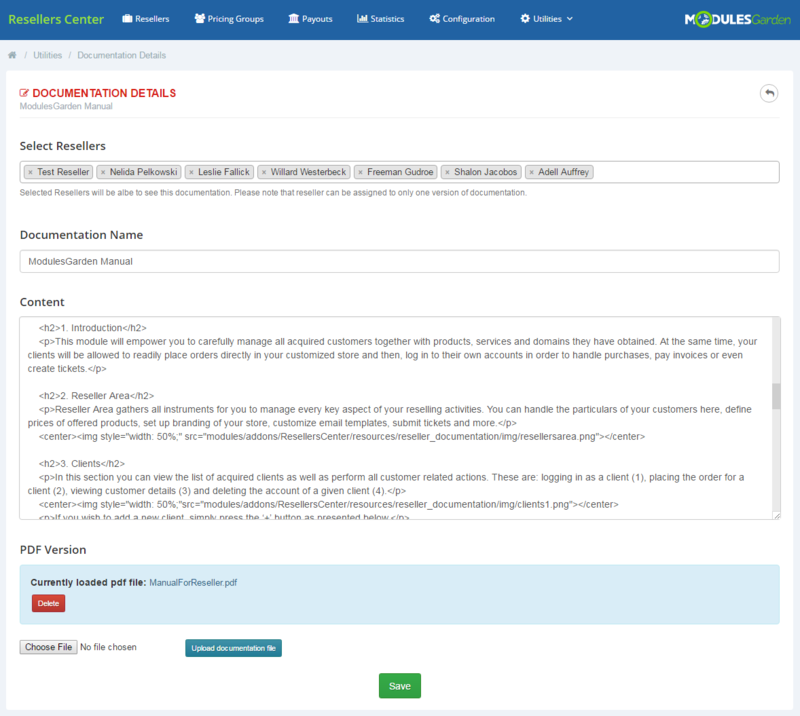 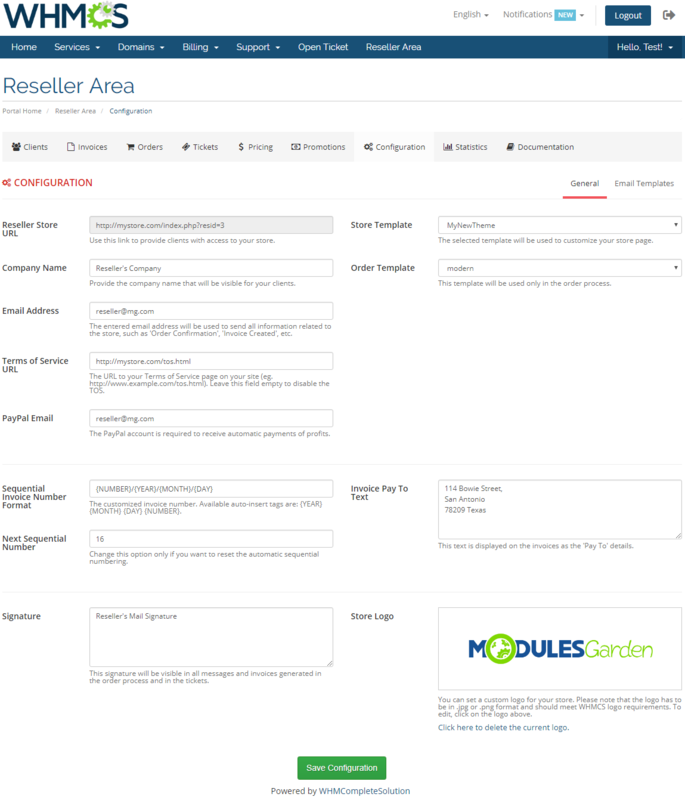 The module features a flexible management model based on reseller groups. 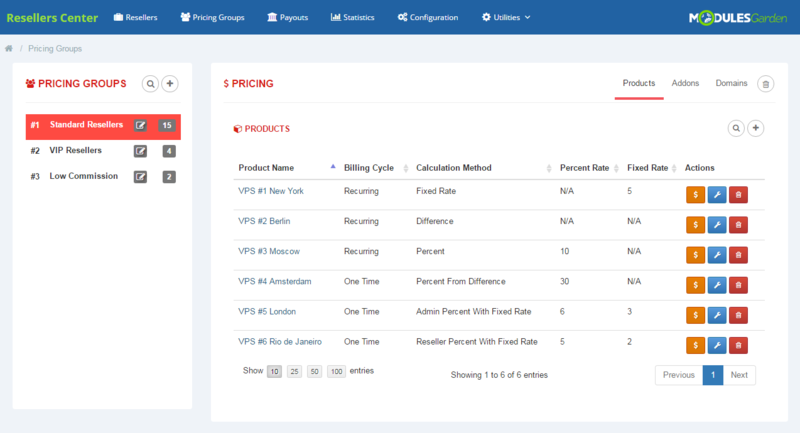 Each group you create can gain a diverse set of reselling permissions applicable to store branding, payment gateways, payouts' calculation methods, and other conditions. 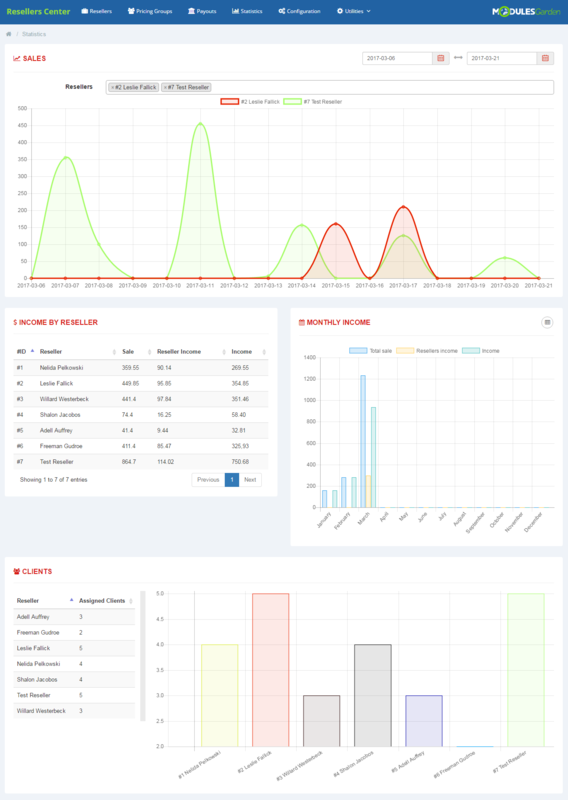 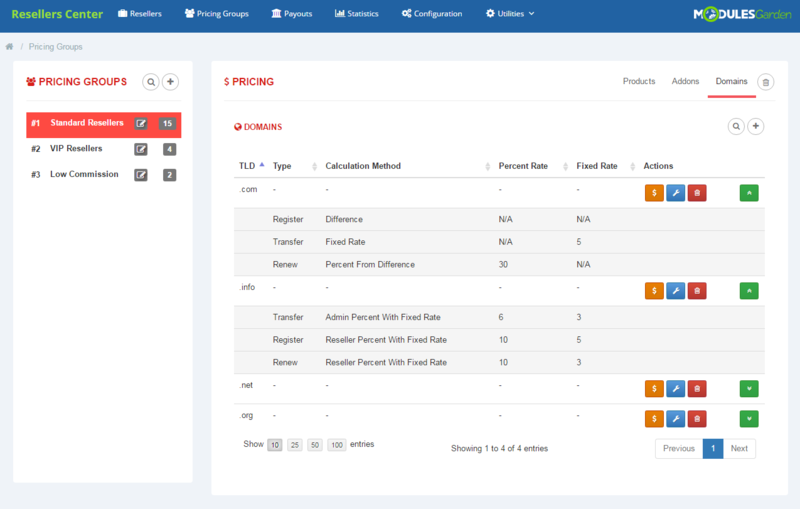 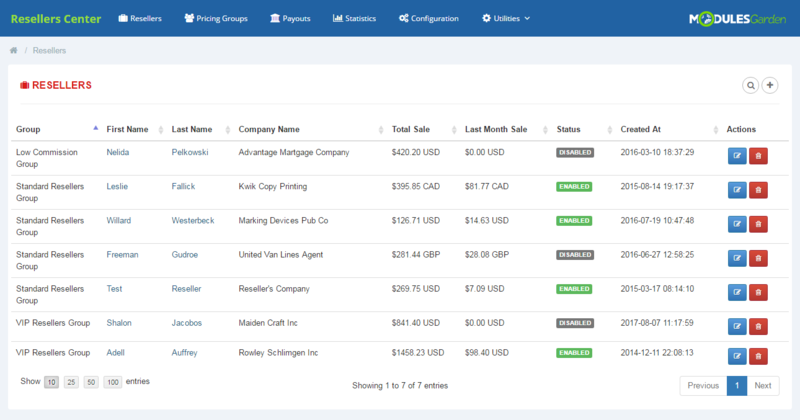 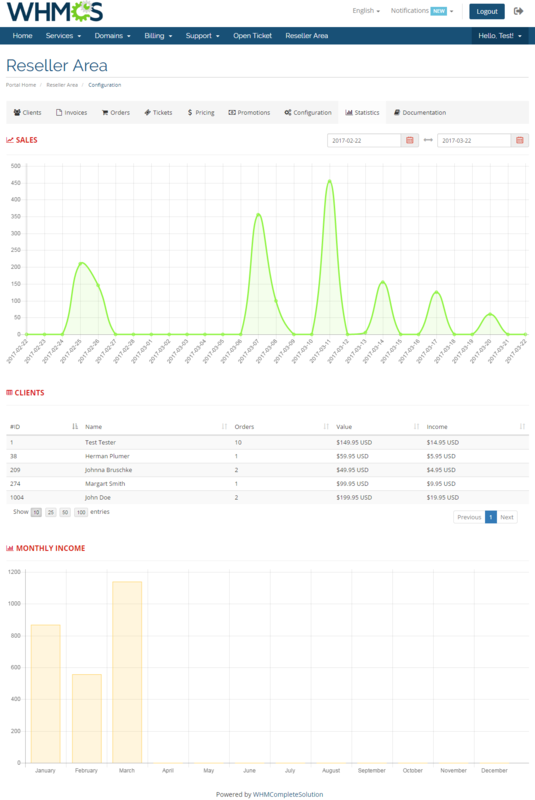 You will be able to track the sales progress statistics, as well as draw up multiple variants of documentation for resellers. 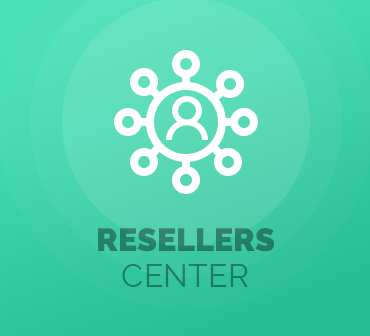 Importantly, you will not need to be involved in any of reselling activities directly – the resellers alone can offer promo codes, handle acquired purchases, or even respond in tickets. 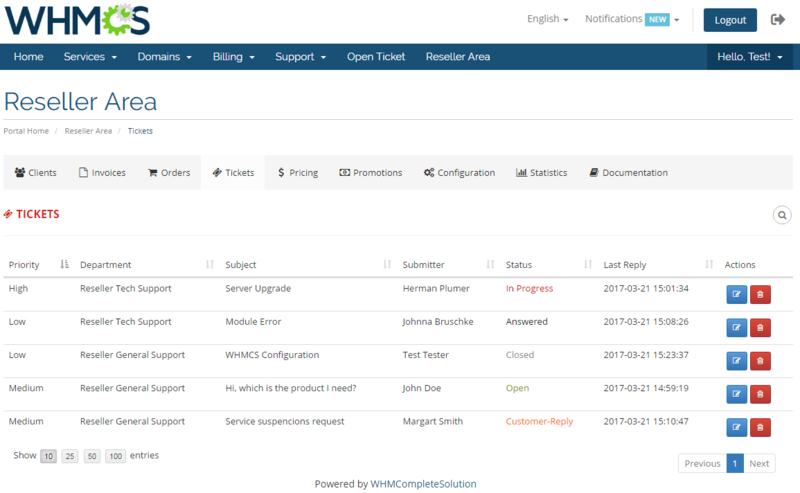 All without ever leaving your WHMCS! 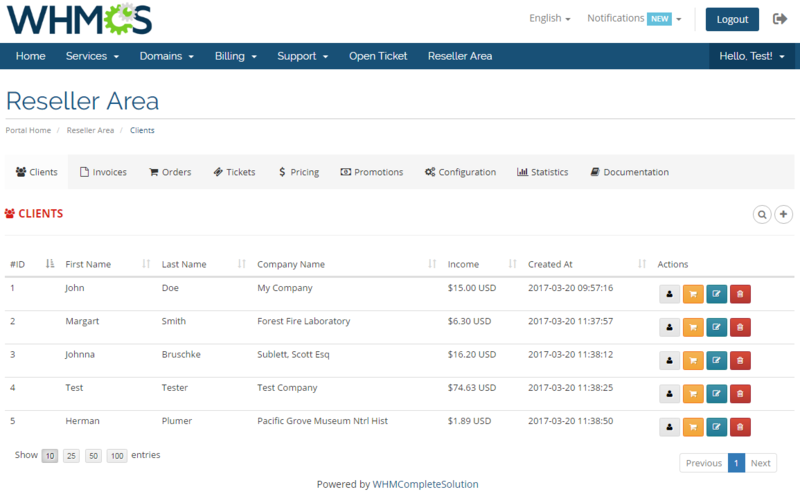 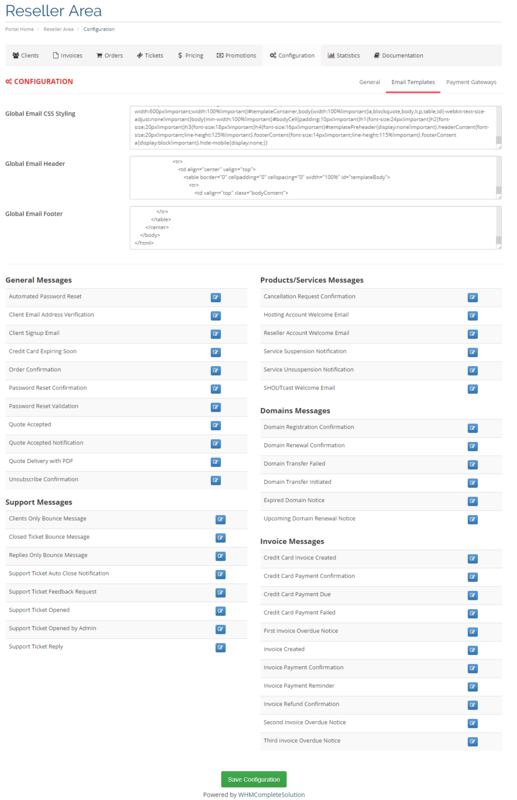 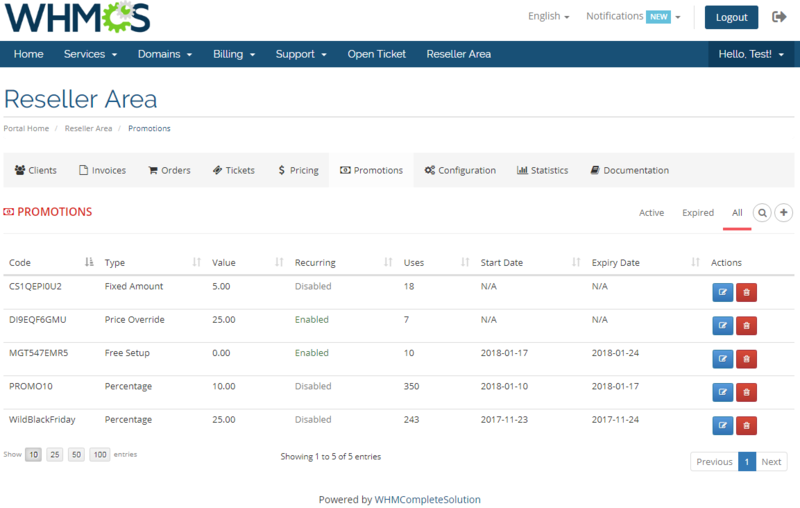 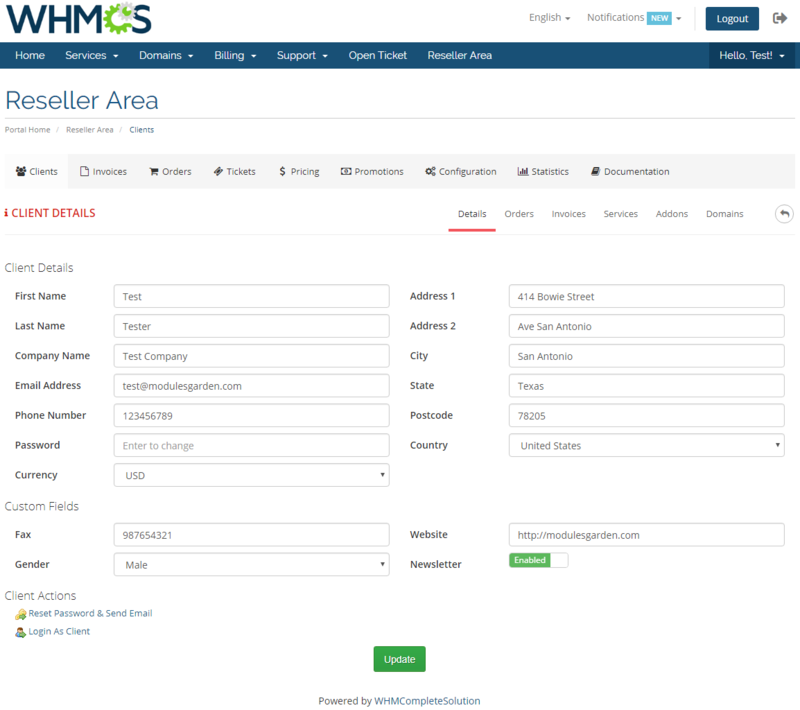 The genius of Resellers Center For WHMCS lies also in the choice between two reliable invoicing formulas. 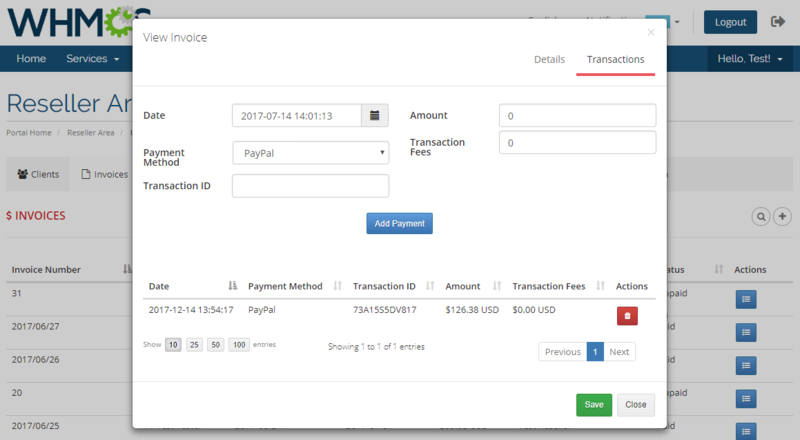 The first one will permit the resellers to configure independent payment gateways, issue customized invoices for end clients, and collect the money in a direct manner. 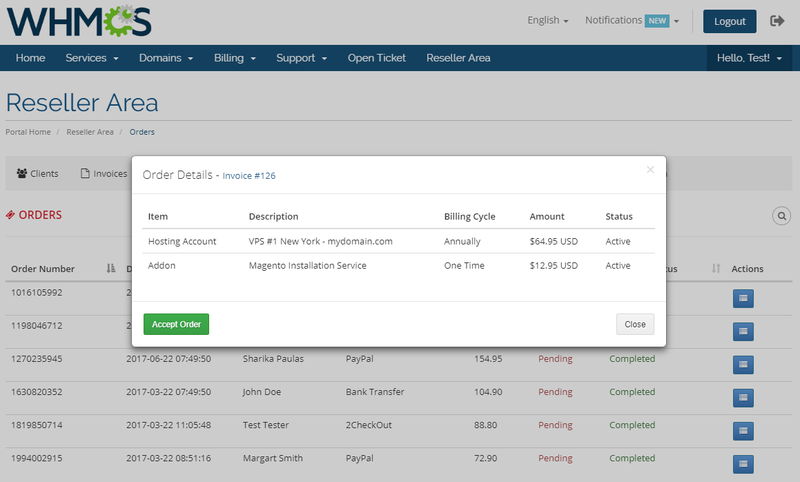 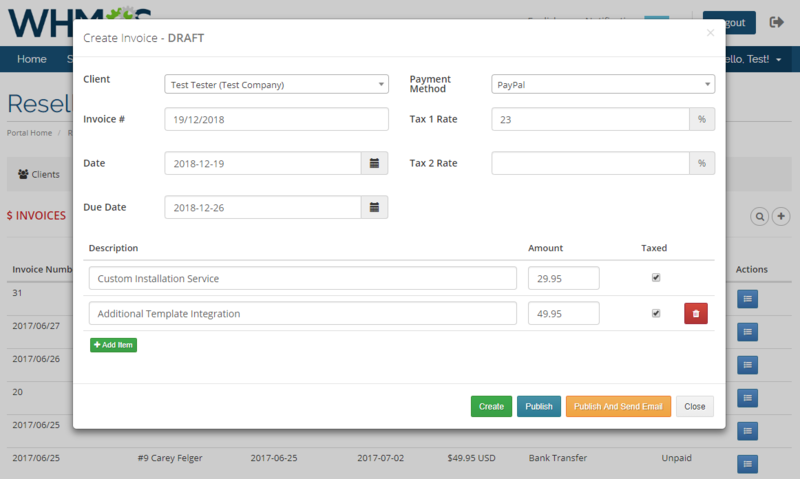 Alternatively, you can receive payments settled by end clients in full, and then transfer payouts to your resellers either manually or automatically. 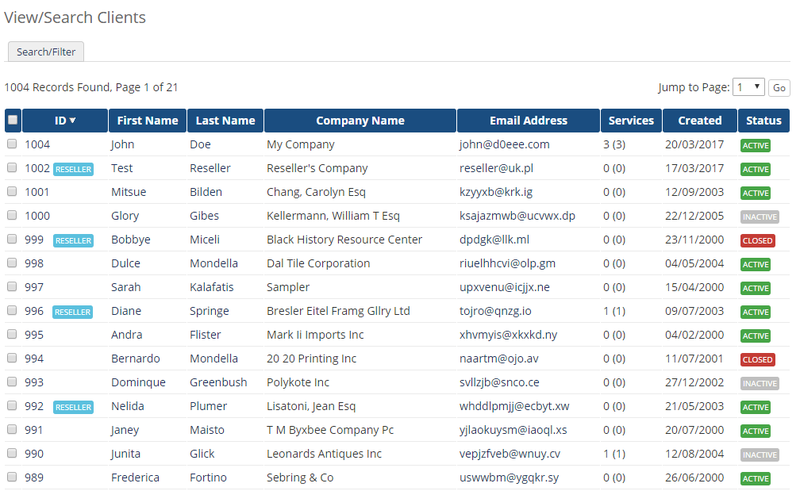 Let your products and services be further marketed with incomparable comfort and efficiency. 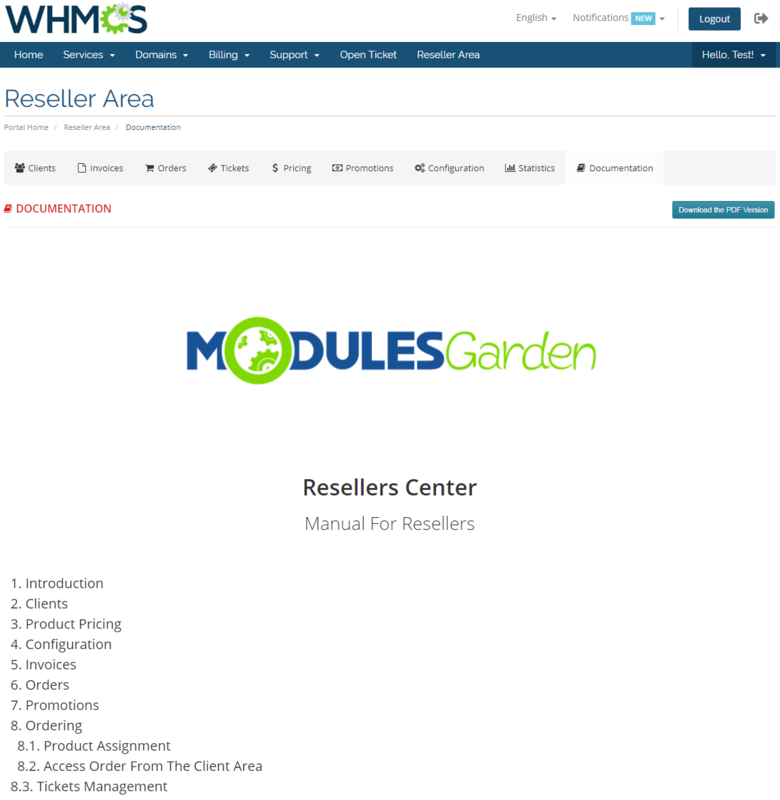 Order Resellers Center For WHMCS if you crave to widen the circle of satisfied audience and rocket generated profits in next to no time! 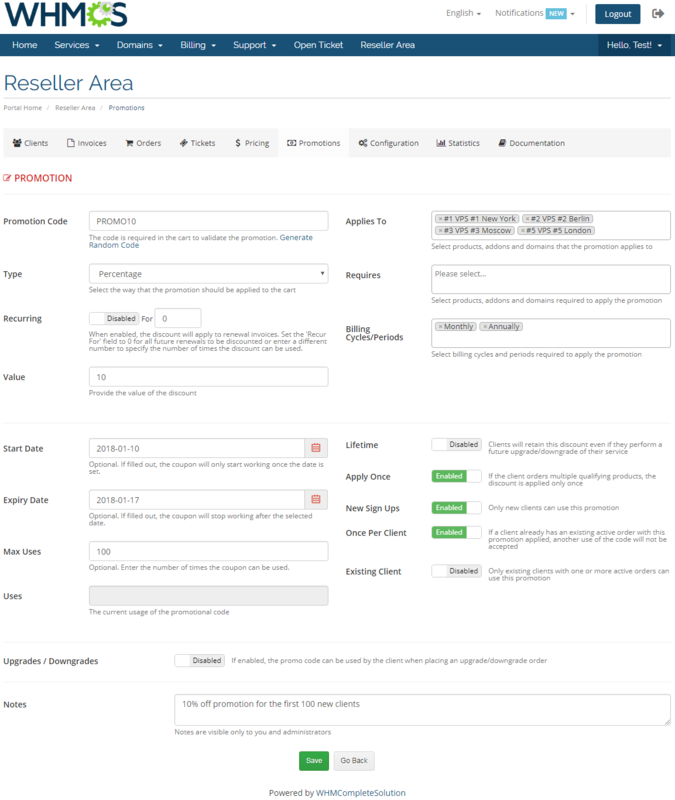 Fixed bug occurring when visitor clicked on reseller's link and then registered. 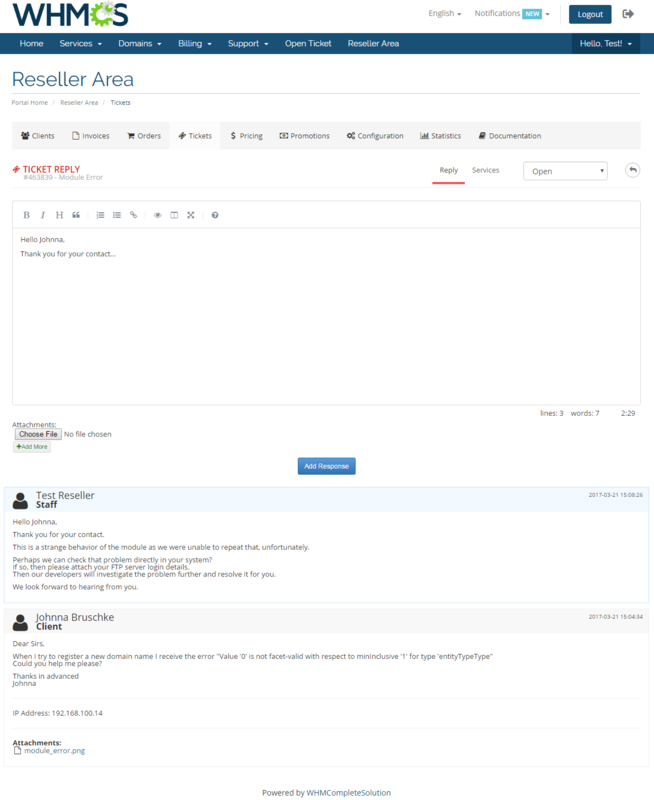 Due to this bug he was just becoming a client instead of reseller's contact. 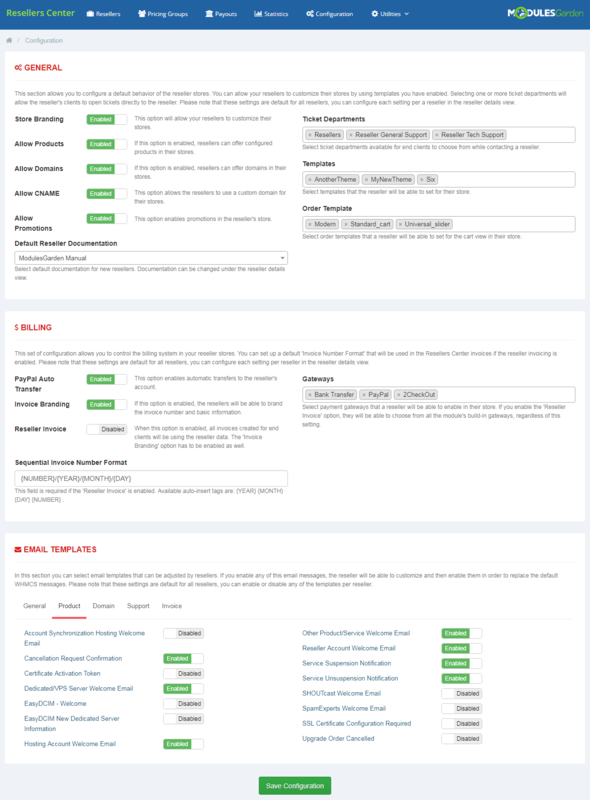 Needs a few more enhancements, which i am told should be on the roadmap. 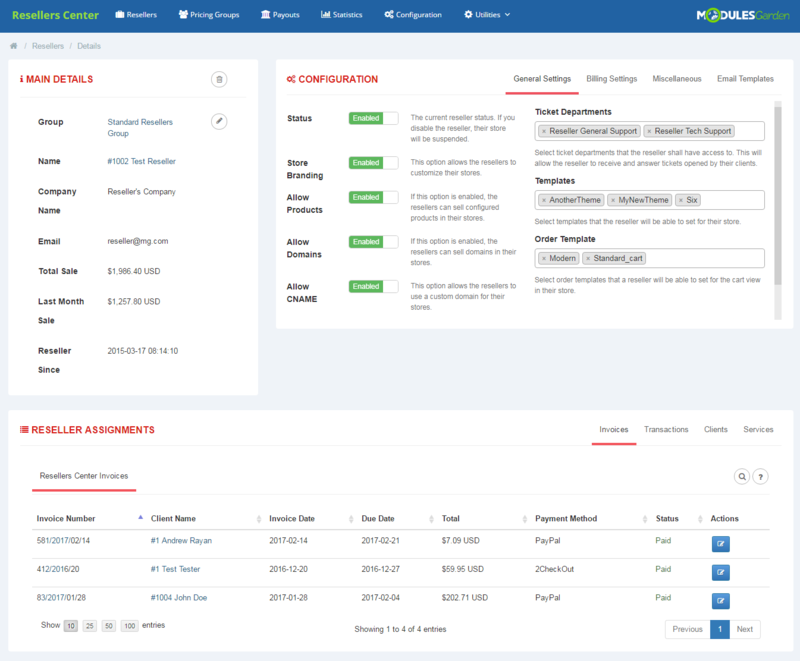 Provide VPS and dedicated servers offered by OVH, and empower clients to control the purchased machines, access the KVM and IPMI console, manage snapshots, and more.